Discover just how UNIQUE & REAL an experience it is! …….a rare human life-experience that will top anything virtual, even for the kids! One of the most unique celtic and authentic castles that Ireland has to offer according to The Sunday Times in London and ranked as among The Top 50 Castles in Britain and Ireland. Ballyhannon Castle offers you the opportunity to experience what it is like to stay in an authentic medieval Castle, all to yourself, just like they lived in 1490 when Ballyhannon Castle was built. So treat yourself, your family and friends/wedding guests to a venue you and they will never forget (for less than the cost of a hotel!). 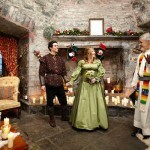 What's more romantic than a Castle celebration in Ireland with up to 25 of your guests able to sleep over at no extra cost! Our nine bedrooms are perfect for large groups, family reunions, small conferences, team building, tours, and other gatherings where the whole group can stay, eat, mix and play together. 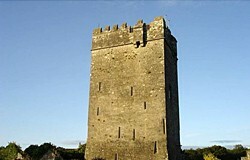 The Castle towers up 100 feet and is built over five storeys, . On the Castle page you can see the rooms and layout of the tower and the pictures above show all the rooms with a summary of where each is vis-á-vis the others, and within the building itself. The Medieval Dining Room has alcoves and arches, and is where the horses were originally kept and fed in bygone days. Built during what is known as the 'Golden Age of Castle-Building in Ireland', you may look but you will not find a better location or example of Celtic Castles Ireland has in this world renowned island of ours, especially with the combination of sleeping and living accommodations between the Castle and the adjacent Coach House. Don't take our word for it - just read the testimonials and reviews of our guests on Tripadvisor. Ballyhannon Castle & Coach House has proven most popular for private celebrations of special birthdays, reunions, anniversaries and other family milestones, and indeed as an ideal honeymoon location. 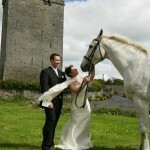 It is an especially unique and memorable venue for intimate Irish castle weddings. 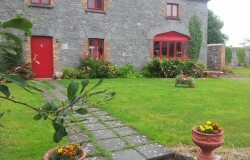 This large family home is adjacent to the Castle and can be rented with or separately from the Castle. The Coach House is an amazing 19th Century period house, and is much bigger than you will expect. We've made it into a comfortable country family home retaining the wooden beamed ceilings upstairs and internal stone walls and it now sleeps up to 15, and along with the Castle it means that Ballyhannon can sleep up to 25+ guests. This makes us one of the biggest self catering County Clare accommodations available, and one of the only Irish castle venues for rent to groups wishing to sleep such numbers. A large yard separates them perfectly and all the rooms have Castle views so you can admire it whatever room you are in! Hold your wedding ceremony in or outside the Castle and your wedding party (meal and festivities) in the open-plan Coach House just next to it, which is perfect for small weddings and seated fine dining events up to 70. Erect a marquee on the lawn for larger gatherings. There is an Irish Bar ('bring-your-own' bar-room) too for some extra space - have some taps brought in for pints or spirits or wines, whatever takes your fancy! Sláinte. You will have the entire complex to yourselves, all behind private gates and perimeter walls. Enjoy the serenity, privacy and rustic rural setting! The heating is electric, with separate wood-pellet stoves in both the large Living / Dining Room and Kitchen. Four bedrooms upstairs (two family rooms with bunk beds) and there is a downstairs TV lounge with sofa that converts to a double bed, and en-suite adjoining. The downstairs is open-plan and very spacious and several doors lead out both to front and rear lawns. The kitchen has everything a normal family holiday home would need. The Coach House is suitable as disabled self-catering (vacation rental) accommodation, though the Castle was not built with those with even mild limitations of mobility or vision in mind. The ancient spiral staircase in the Castle has narrow stone steps which were actually originally designed to be uneven (so that any invader unfamiliar with them would stumble as they slipped through the shadows, dagger poised!). 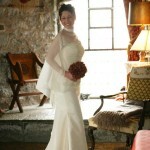 We have hosted all wedding themes from medieval to fancy dress to costume parties to a white wedding. Or just come as you are and let the Castle be its own theme. Guests often surprise friends and family by keeping their destination with us a secret until they arrive! It never fails to blow them away to realise that they will be staying in a real Castle! With riding stables next door, there’s plenty to do for both adults and kids. 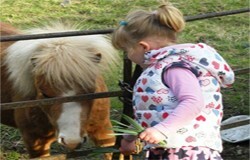 You can learn to ride in the comfort of the indoor arena, or ride out across the fields. An elite group indeed! 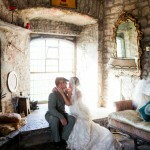 Many a tear has been shed in the intimacy of our venue (including us, the owners, who have been privileged to attend). Viewed from the Minstrel’s Gallery overlooking the Great Room like the Gods, all ceremonies and blessings at Ballyhannon are auspicious and serene. ‘Walking Up The Aisle‘ – Ballyhannon style. As the groom waits, the bride takes her time on the spiral staircase on her way to the ceremony. A quiet moment to appreciate each other, the ultimate romantic wedding. 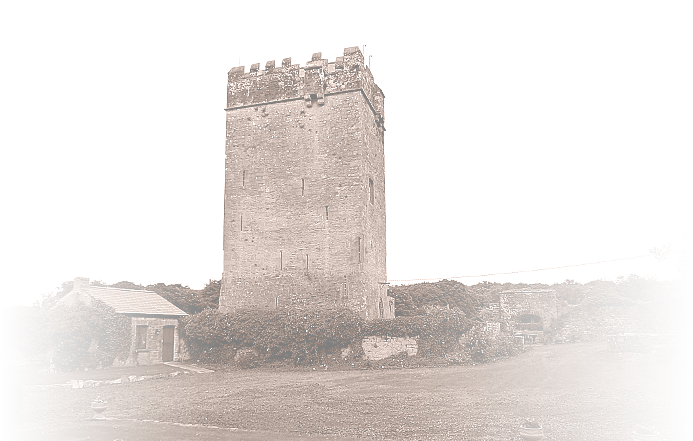 You are joining the centuries of history of Ballyhannon. From the bright lights of the cities of Dublin, Cork, Galway and Limerick on all sides of the coast of the Republic of Ireland, and Belfast in Northern Ireland, and all the breathtaking countryside in between. 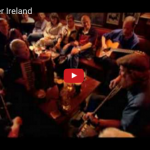 Blackie O’Connell brings us on a trip around Clare, the Home of Irish Music. Blackie plays in many of the pubs and hotels in Clare during the week, where you can come join him and other musicians for some great craic, food, great drink and a great trad session. Clare has a reputation for it’s varied and excellent restaurants throughout the county, from coast to towns to villages, serving amazing food for all tastes, Irish and international. From swimming in the Atlantic ocean to hill walking, mountain climbing, paragliding, rollerballing, off-road jeeps, national parks, combat paintballing and adventure centres for the ‘big kids’, to indoor activity centres with climbing walls, archery, and much much more for all ages, Clare is the place to come! 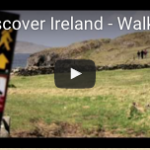 Escape the city and take to the hills, beaches, coastal and forest walks, valleys and numerous dog-friendly walking and trekking trails all over County Clare. 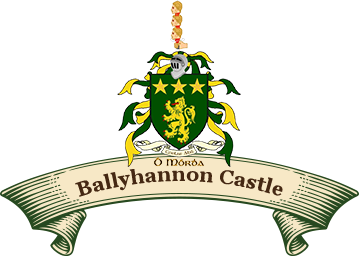 Ballyhannon Castle is in ‘horse-country’ – right next door to us is a large riding stables, and another is ”up the road. 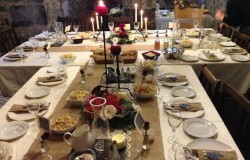 The Castle sleeps 10 guests and the Coach House sleeps 15 guests, so altogether, 25+ guests sharing. Both properties usually rent together although they may be rented separately. Please click "Send to Ballyhannon"
Quin, Co. Clare, V95 Y3C9, Ireland. For route instructions, click this link / icon - and then click 'View' or 'Send to Satnav'.